I managed to pick up the complete(ish) boxset of BBC Scotland’s Hamish Macbeth in a charity shop t’other week, and have been slowly winding my way back down memory lane. Debuting in 1995, the sometimes-mystery series starred Robert Carlyle as the eponymous plod, an intelligent but defiantly unambitious officer stationed in a wee fishing village on the west coast of Scotland. Sadly, there doesn’t really seem to be enough crime occurring in Lochdubh to sustain a series such as this, so the writers have to throw in random sports competitions, romantic shenanigans, and other assorted “local colour” in an attempt to pad out the episodes. It’s not exactly gut-busting, pulse-pounding entertainment, but it is a fairly pleasant way to keep yourself from getting bored over dinner. 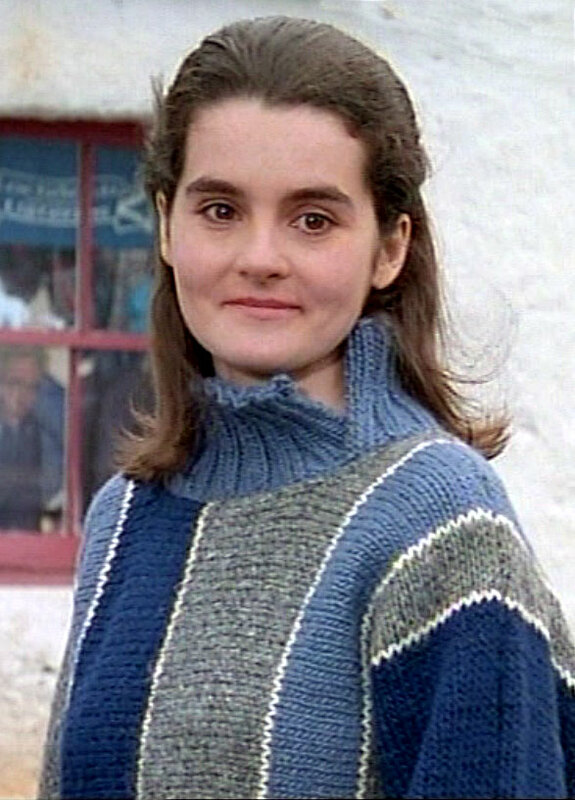 The main attraction for me was the casting of Shirley Henderson as ‘Isobel Sutherland’, editor of the town’s newspaper, and eventual love-interest for Hamish. Isobel’s quite a calm and quiet character, so she’s not as much fun as some of the twitchier/crazier/angrier characters that Henderson has played since then… but even in a more subdued role, she’s always well worth watching. Her rival for Hamish’s affections is his childhood crush ‘Alexandra “Alex” Maclean’ (Valerie Gogan), a slightly snooty wannabe novelist who moved out of the village to become a big, fancy author, and failed. 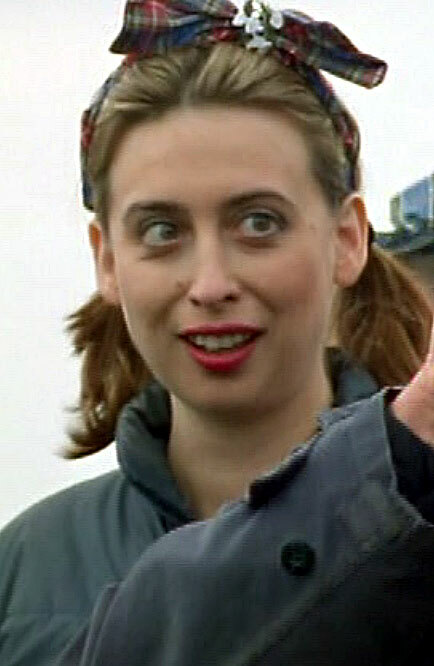 In the second series they try to establish a tense “love triangle” between the three of them, but it didn’t have any legs, as far as I’m concerned… largely because Isobel gets so much more screen time than Alex (even earning an episode centred solely around her career aspirations)… and even when the focus is on Alex, she just comes off as a spoiled, pretentious rich girl with vague literary aspirations. We never really get to hear any of the prose she wrote while she was in London, and as far as I recall she wrote sod all after she came back… whereas, we know exactly what Isobel writes, and we know how she feels about her work, and we know that she delivers. Of course, I could easily sympathise with an unproductive writer if we were given more time with her, to see her frustration and her failed efforts… but we never get to see any of that. She’s just there as an obstacle between Hamish and Isobel… that’s her only function… even after her hilariously random death! Aside from Henderson, there were a couple of noteworthy cameos: First up was Sharon Small as ‘WPC Anne Patterson’, a peppy young trainee constable who spends a week in Lochdubh on work experience (ep 3.1). Next up was Mabel Aitken as ‘Cathy’ (ep 3.6), a long-time (though previously unseen) resident, who helps to choreograph the cheerleaders for the local shinty team (a traditional sport, that looks suspiciously like hockey to me). Her character didn’t have many lines, but she got some funny background business, and imbued it all with her usual charm and spirit. Note: I was intrigued by a disclaimer on the back of the DVD case, stating that an ep from the first series, “West Coast Story”, had been omitted… though thankfully some kind soul had transferred their VHS recording of it to the internet, so I was able to watch it eventually. The plot revolves around an amateur production of the musical West Side Story, with characters frequently breaking out into songs from the show, even when they aren’t on stage… so it would have been impossible to edit out the expensive-to-licence music and lyrics without gutting the entire thing. Which is a damn shame, because there are some really good scenes between Isobel and Hamish in it, including one where they almost kiss! This entry was posted in Rants about TV and tagged Hamish Macbeth, Mabel Aitken, Sharon Small, Shirley Henderson, Valerie Gogan. Bookmark the permalink.